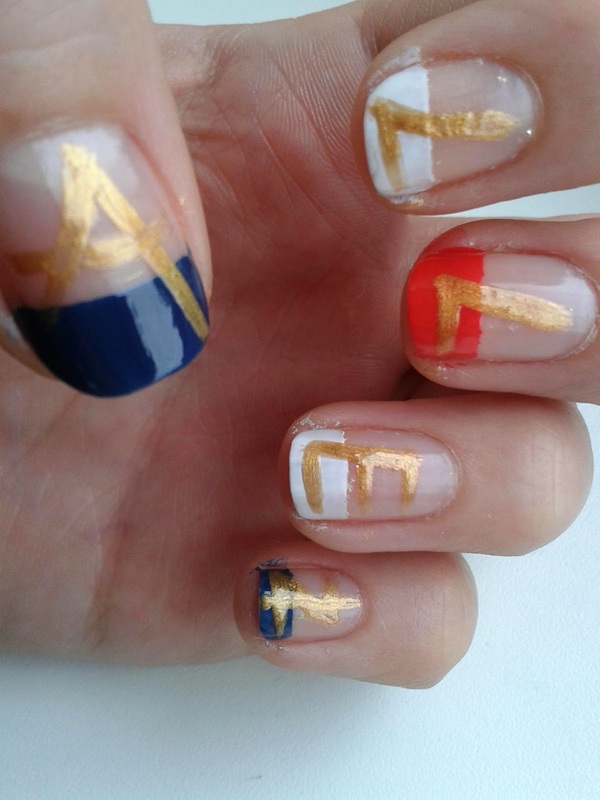 Bathelen's Nails: World cup nails with NailsXO! World cup nails with NailsXO! 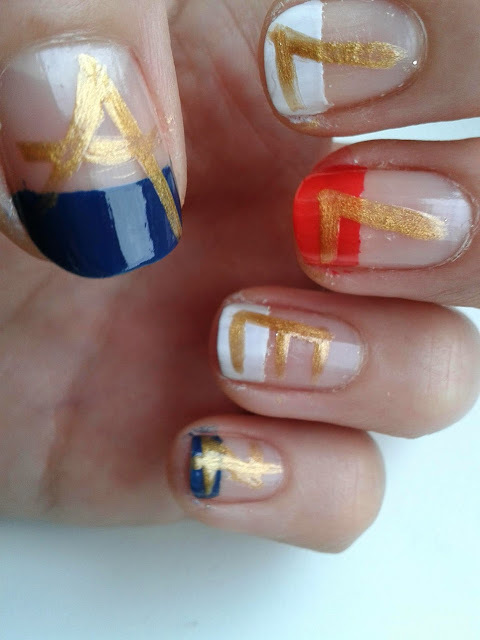 Emily over at NailsXO has organised this great competition where we each create a nail art based on a country taking part in this year's football world cup! I got France :) I'll admit I wasn't feeling hugely imaginative but I like the simplicity of my Allez Les Bleu 'French' mani, French tips done in the colours of the French flag. I used OPI Red lights ahead ... where?, China Glaze white on white and Bettina nail enamel indigo with Models Own gold nail art pen. I love how you did it as a 'French' manicure that's a really good touch! Another great touch is doing the Allez Les Bleu! Love these nails!